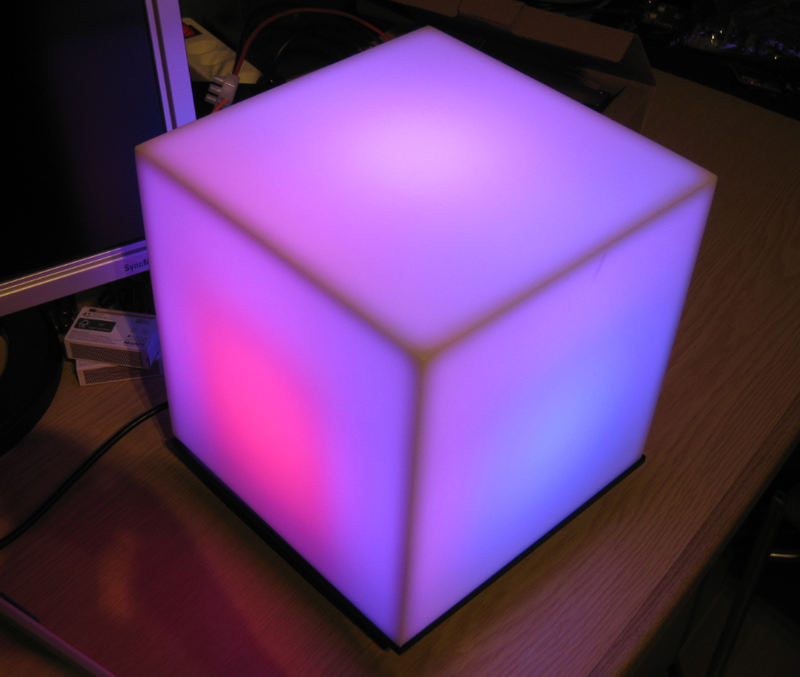 The cube structure made of PLA can get warm (around 70°C) and softens a bit if the LEDs are at full power. PLA melts around 180-220°C, but because the structure is very light it easily can affect the stabilit. I think I would definitely need some different internal structure material, both for cooling and heat resistance. Right now I’m limiting heat with controlling the average brightness. Enoug power to drive more LEDs, but because of the heat I don’t want to run the LEDs full power for too long anyway. I have now 5 different scenes I can control (color, speed, transition effects). 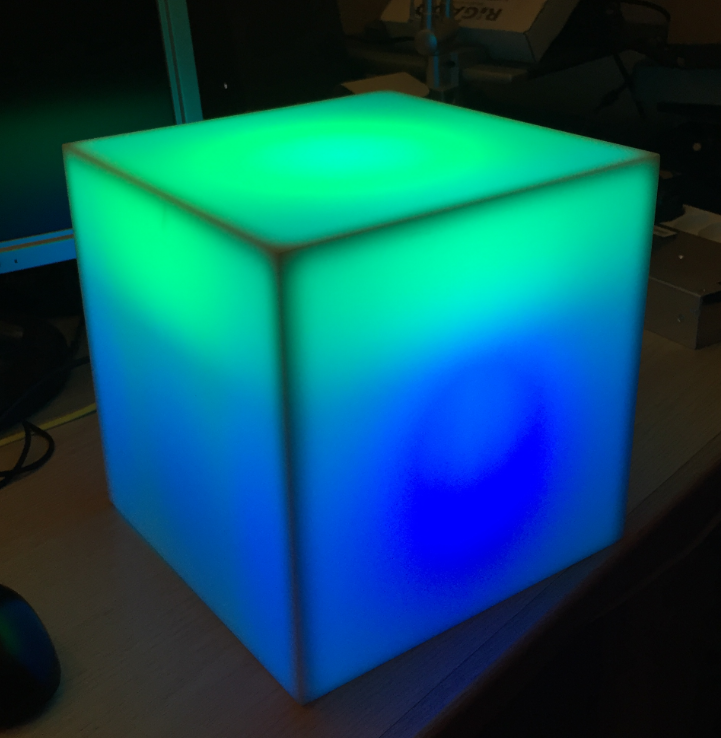 The cube supports now multi-color effects with a RGB LED cube inside. 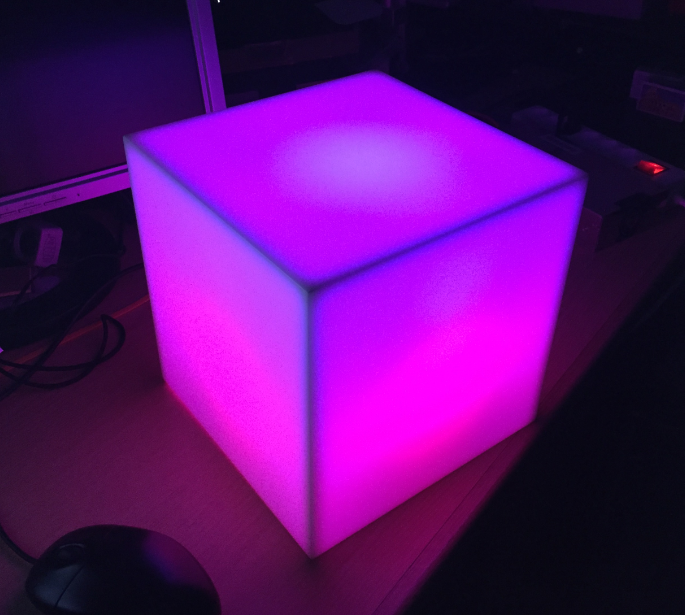 The total of 320 LEDs draw a lot of current and cooling might be a challenge if running at full brightness. 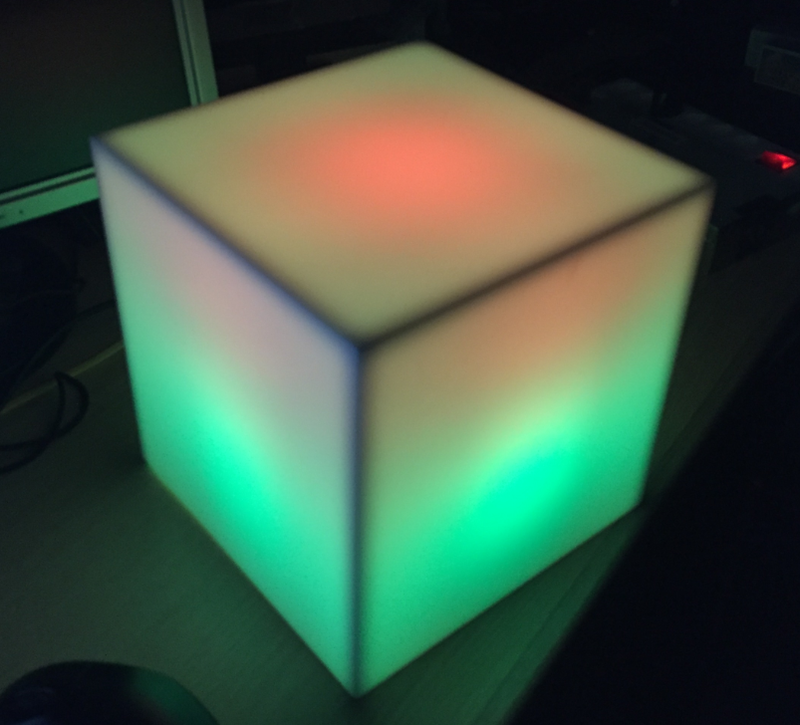 In a next step I could add extra BLE beside openHAB control (see “How to Add Bluetooth Low Energy (BLE) Connection to ARM Cortex-M“). And of course add more colorful programs :-). Sources of the project are available on GitHub. 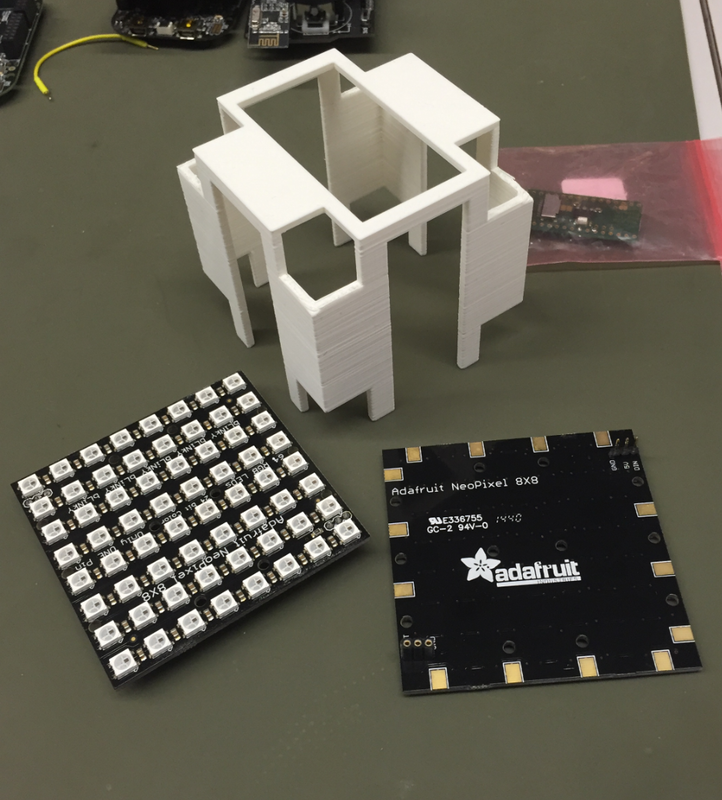 This entry was posted in 3D Printing, ARM, Boards, CPU's, Embedded, Freescale, Kinetis, NXP, openHAB, TinyK20 and tagged 3D Printing, Adafruit, Freescale, Kinetis, LED, NXP, software project, technology, WS2812 by Erich Styger. Bookmark the permalink. 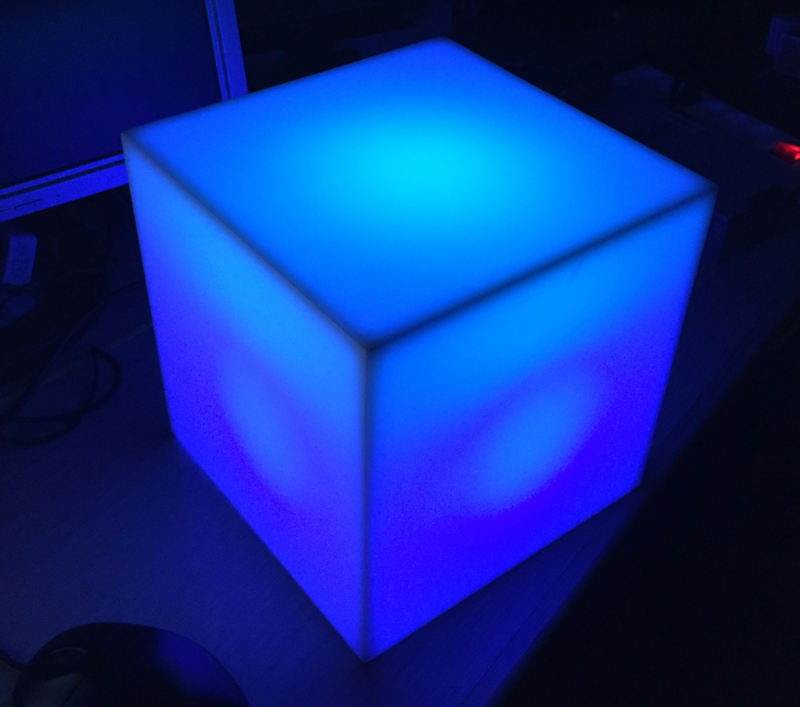 This is a very nice project – something I need to build for my home! It was a big hit during the past season. My tree used a breathable light-diffusing fabric (covered in gold tulle) to hide the LEDs and allow good ventilation, so heat buildup was not an issue. I also included a 1500mA-hr battery in the base, which allows about 8 hours of run time on moderate brightness. I imagine some ports in the base of your light would allow a quiet fan to draw in cool air and release warmer air to the environment. I don’t think it would take much ventilation to keep internal air temps at a maximum of 40C. By the way, did you mitre/chamfer the box edges to get such a nice fit? The pieces appear to go together beautifully! 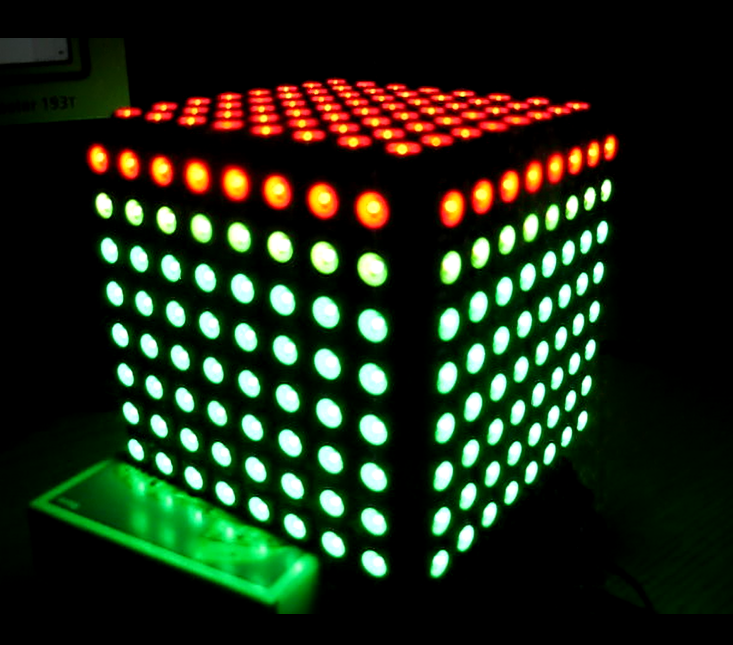 Hi Erich, I’ve built a similar project, but using the PSoC BLE from Cypress. It has programable logic blocks, called UDBs, in this way I could link the DMA to it. 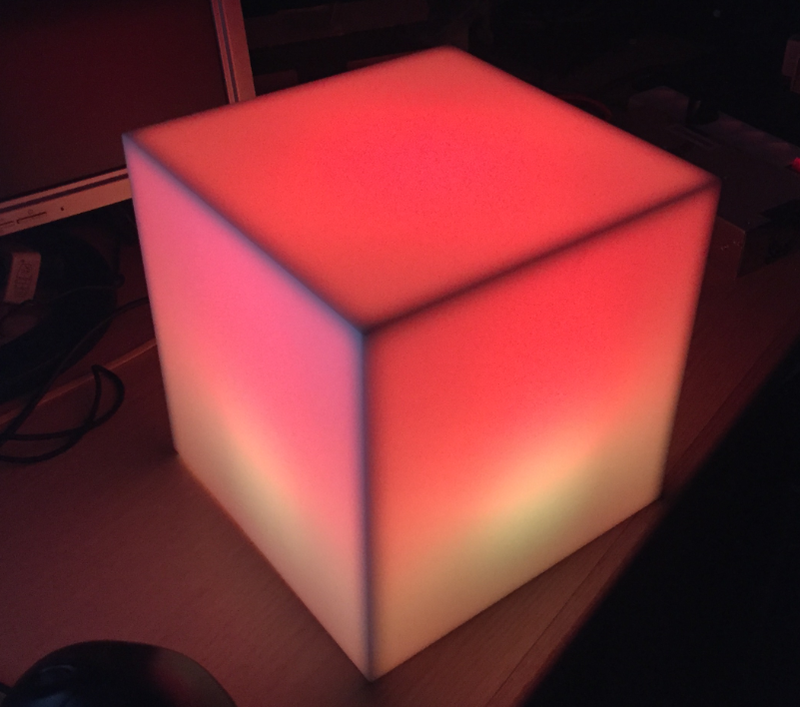 It loads the light control programs from the SD card and is linked to a Raspbery Pi 2 running OpenHAB, which I use to control and bridge all my devices. 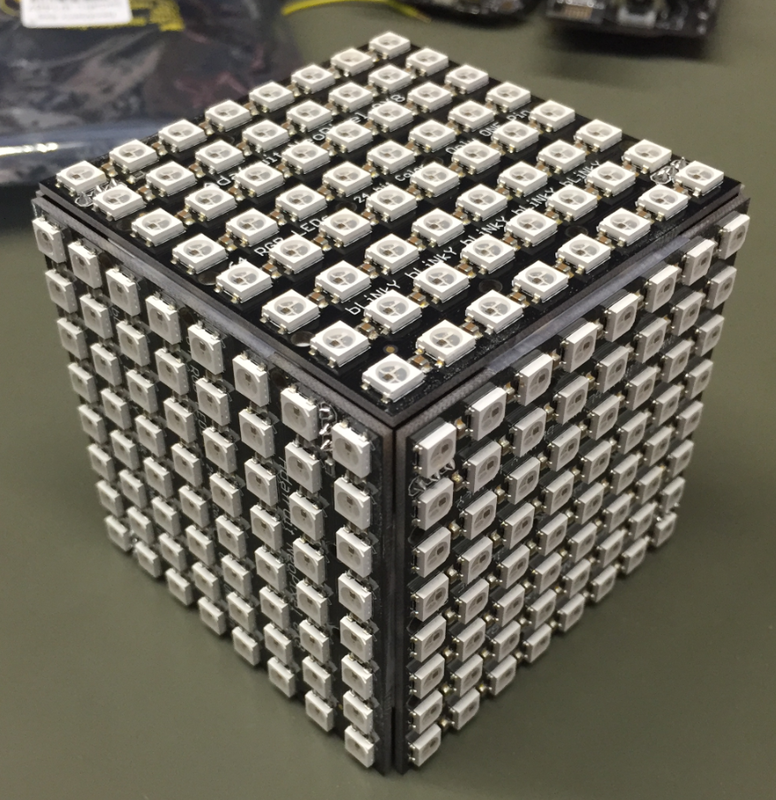 It used 3 bytes for each led, and has the capacity to drive 16 streams each with 64 LEDs. The UDBs serialise the byte into the WS2812b and APA104 protocols. Giving a lot of time to the CPU to process the programs. The difference on my project is that it uses a 15cm diffuse acrylic tube, the LEDS are arranged at the center in 8 rows of 36 LEDs. The cooling comes from a small fan on the base and goes through the inside of the structure to top where there are small roles. 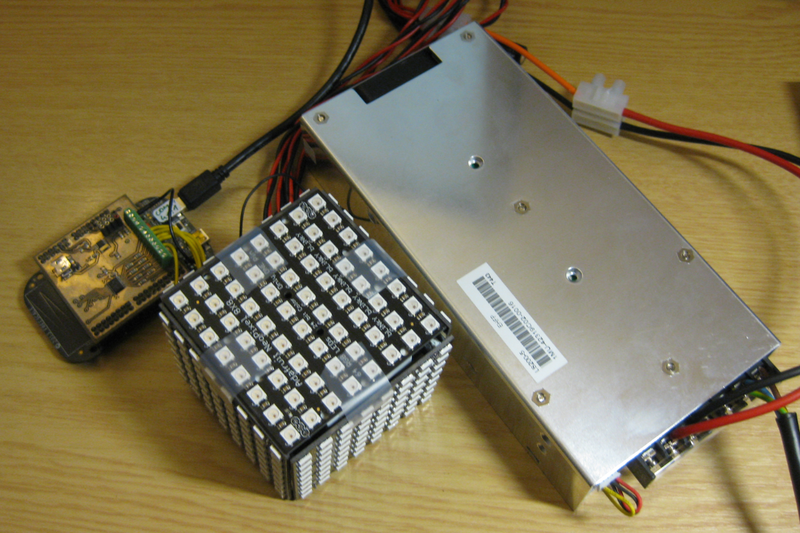 The power is supplied by a custom power supply using a 115v/230v -> 48v transformer (3A) -> 2 discrete DC/DC converters (5v/12A) controlled by the PSoC. 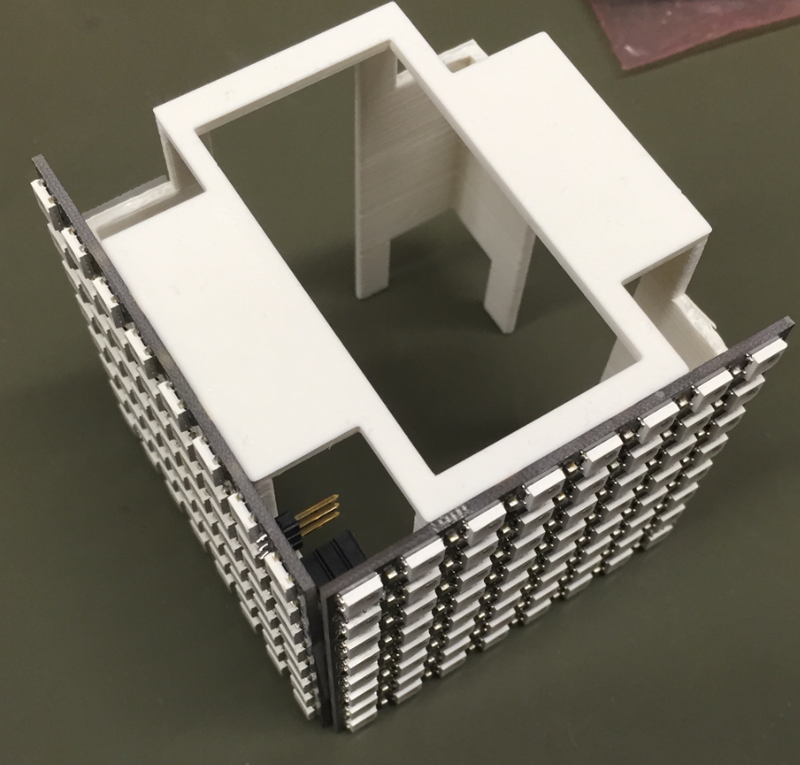 I can share the project if you want to take a look. My current project is to build and enclosed POV with the same acrylic diffuse tube using a brushless motor on the base with a balanced pivot rotating two sets of 20 LEDS, rotating in 60hz, indexed, PID controlled and using inductive power transfer. is there a video or something else available on that project (sounds exciting!). 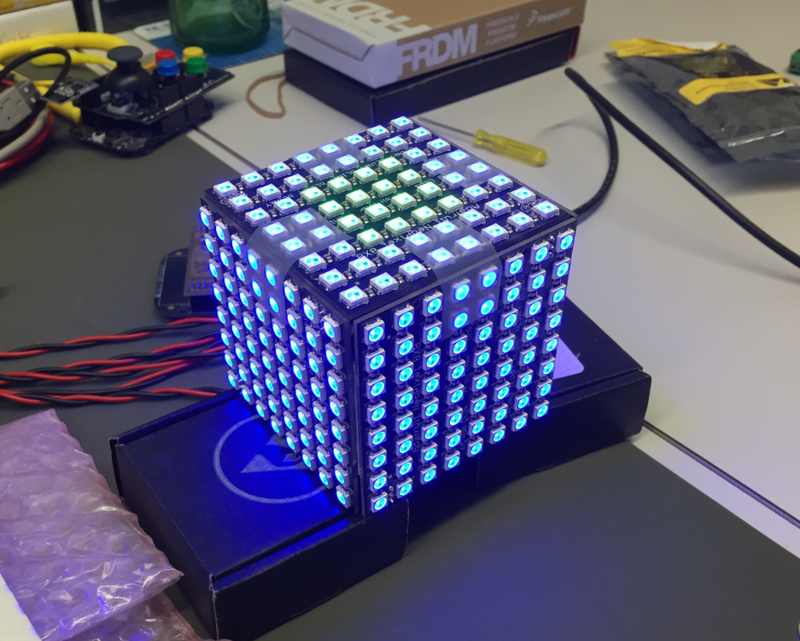 I’m using DMA for transmitting the data to the WS2812B LEDs (see https://mcuoneclipse.com/2015/08/05/tutorial-adafruit-ws2812b-neopixels-with-the-freescale-frdm-k64f-board-part-5-dma/), and use as well 3 bytes only for a LED with a maximum 8 parallel lanes.